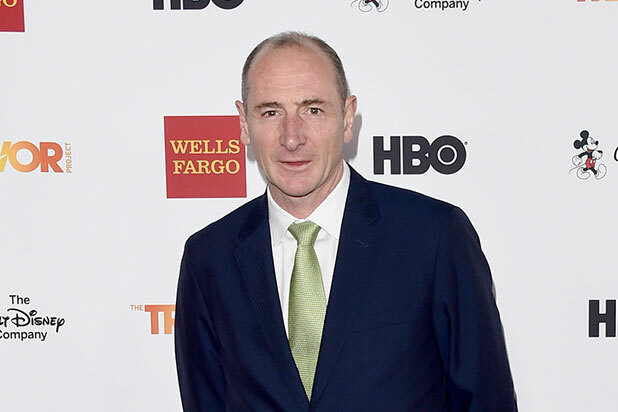 Andy Bird, chairman of Walt Disney International, is stepping down after a 14-year career with the company, studio sources have told TheWrap. His successor has yet to be decided. Bird’s departure comes two weeks after Disney’s domestic distribution head Dave Hollis announced his departure from the studio coming at the end of April, and will move to Texas to become CEO of his wife’s company, Chic Media. He will be replaced by Catherine Taff, current head of integrated planning and franchise management. Bird will remain with Disney for a transition period as part of the company restructuring announced by CEO Bob Iger last Wednesday. The restructuring is being done in anticipation of Disney’s pending $54.2 billion takeover of 21st Century Fox, with some positions being consolidated as the company takes on Fox’s film and TV operations. Kevin Mayer will lead the new streaming operations, while Bob Chapek, head of Disney’s theme parks division, will also head consumer products. “We are strategically positioning our businesses for the future, creating a more effective, global framework to serve consumers worldwide, increase growth, and maximize shareholder value,” Iger said. Bird joined Disney in 2004, spearheading plans to expand Disney into the rising media markets in China. He previously worked at Time Warner as general manager of Turner Entertainment Networks and later as president of TBS International. 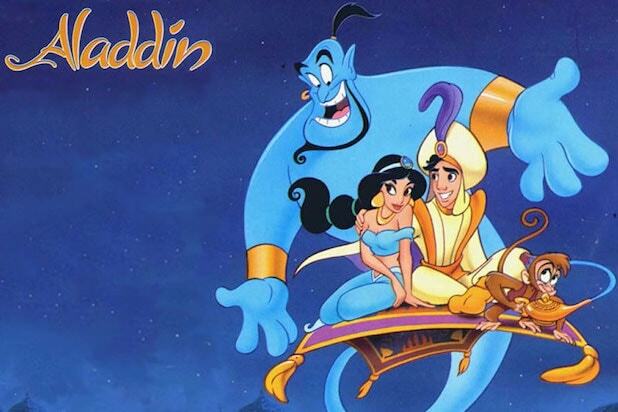 Disney's "Aladdin" first flew into theaters on Nov. 25, 1992. Now, 25 years later, it still looms large as a defining animated film. TheWrap takes a look back at the classic as it celebrates the quarter-century mark. Though based on the same-titled tale from "One Thousand and One Nights," "Aladdin" borrowed a number of elements from the 1940 fantasy adventure "The Thief of Baghdad." Examples include a princess on the run, a flying carpet, and an evil vizier named Jaffar. Directors John Musker and Ron Clements were set on Robin Williams playing the Genie from the start, but Disney chairman Jeffrey Katzenberg wasn't sure. Forced to come up with alternatives, the directors reluctantly suggested Steve Martin, Eddie Murphy, John Candy, Martin Short, Albert Brooks and John Goodman as potential replacements. According to several accounts given by filmmakers over the years, animators took audio of a Williams routine and paired it with early sketches of the Genie in order to convince exec Jeffrey Katzenberg and actor Robin Williams of the casting choice. Both men loved the result, and Williams promptly signed on for the role. Robin Williams pulled double duty as both the Genie and the merchant from the opening scene. This was not meant to be a coincidence, as the merchant was meant to reveal himself as the Genie in disguise at the end. However, an ever-increasing movie length and a hard release date forced the directors to cut the scene. Original sketches made Aladdin look boyish. Some filmmakers noted he even resembled Michael J. Fox in "Back to the Future." Katzenberg, worried about how to sell Aladdin's masculinity, asked the animators to watch Tom Cruise movies as a reference point and redesign the character. Jasmine's appearance was based on actress Jennifer Connelly as well as the sister of one of the animators. Jafar was originally envisioned as a much more psychotic, dangerous character, while Iago was planned to be a British-voiced, calming influence. Once the directors decided to hire Gilbert Gottfried, however, the personalities were switched. Jonathan Freeman must love playing Jafar: He has voiced the character for "Return of Jafar," "Hercules," "House of Mouse" and the "Kingdom Hearts" series. He also originated the part on Broadway in 2011. Known for his improvisational skills, Robin Williams ad-libbed much of his performance. Even much of the opening merchant scene is improv: Jeffrey Katzenberg put a table full of props in the recording room and asked Williams to try and sell him the items. While working on "Aladdin," Williams kept in touch with his "Hook" director Steven Spielberg, who was then filming "Schindler's List." On days when Spielberg was particularly depressed from the shoot, Williams would tell him jokes over the phone to cheer him up. Here's one you may not have picked up on yet: Every time Aladdin lies as Prince Abooboo ("Ababwa"), his prominent purple turban feather falls forward. Not shy about self-promotion, Disney animators managed to sneak in cameos of Beast, Sebastian and Pinocchio throughout the film. Speaking of cameos, directors Musker and Clements were snuck into the film as the two men discussing "another suitor for the princess" while Aladdin watches. In exchange for working for union scale, Robin Williams asked the studio to not use his image (nor the Genie's), his name nor his voice to sell the movie or merchandise so that the publicity wouldn't overshadow his pet project, "Toys." Disney reneged on the deal, and Williams refused to return for the direct-to-video sequel, "Return of Jafar." When Joe Roth took over Walt Disney Studios for Jeffrey Katzenberg in 1994, he issued a public apology to Williams on behalf of the studio. Williams returned to Disney and voiced the Genie once again for "Aladdin and the King of Thieves."